I'm glad to have you join me today. This is the last SRC reveal for 2015 and how this year has flown by. It's hard to believe that December is here. Its my favorite time of the year. Christmas decorations are starting to appear all over the place. Christmas carols have started playing. Bloggers have started holiday baking and cooking. Everything starts feeling festive. Shoppers are going nuts in most stores. There just is such a buzz this time of the year you cannot replicate at any other time. Have you started your Christmas planning, decorating and shopping yet? I'd love to hear about it. 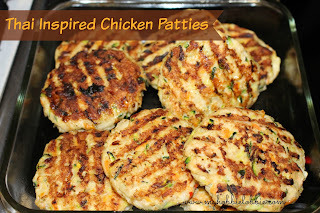 For the reveal I decided to try out her Thai Inspired Chicken Patties. There is so much to love in this recipe. For starters you use ground meat. You sneak some veggies into the patties and you could tell the kids that these are Christmas confetti patties, with the green from the zucchini and reddish orange of the carrots speckling the patties. They are full of flavour and yes, please remember to serve it up with some sweet chilli sauce. That is a combination you will love. These patties will be a part of my weeknight dinner rotation. I stuck to the recipe but used just 1lb ground chicken instead of 1 1/2lb. since thats all I had. And used lemon juice instead of lime zest. Thanks Andrea, for a lovely recipe. Sprinkle some salt on the grated zucchini and keep aside for about 5 minutes. Drain all the liquid and place in a large bowl. Mix with all the other ingredients except the sweet chilli sauce. Heat a griddle pan or the grill. Lightly spray with some oil. Form the mix into patties about 1/2 inch thick and sear both sides about a couple of minutes. Place on a baking sheet and finish off in a 350º oven for about 5 minutes or till they cook through. Serve with the sweet chilli sauce and a large salad. Yes, I love the name "Christmas confetti patties", too! Wonderful recipe to choose, this is one I make often. I had a wonderful time cooking from your blog and can't wait to make more of your recipes. I have a LONG list. :) Have a great December. Christmas Confetti Patties is a perfect name for kids!! Either way, they look so good!! 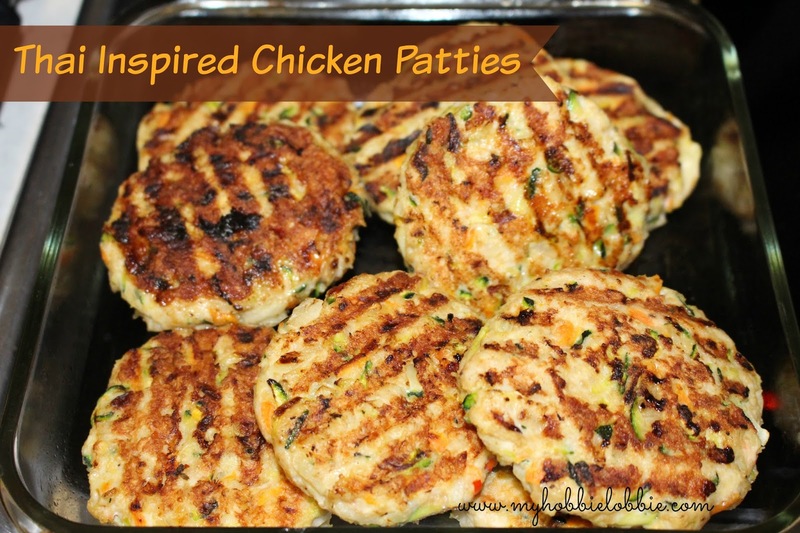 Love the idea of sneaking veggies into these patties. I still have to sneak veggies to my picky 10 year old son.